A practice which has seen schools in Auckland request donations from parents seeking a spot for their child has been called unlawful. Five schools – Auckland Grammar School, Mount Albert Grammar School, Epsom Girls’ Grammar School, Kohia Terrace School and Cornwall Park District School – used tick boxes on enrolment checklists and administrative fees to pressure parents outside of school zones to donate before their children were considered for a place. In a report, released on Tuesday, by the auditor-general it was concluded any request for a donation in connection with out-of-zone places was unlawful. The practice came about as schools considering out-of-zone applicants who aren’t siblings, pupils seeking enrolment in a special programme, or children of former students have to select through an independently supervised ballot. Auckland Grammar, Mount Albert Grammar School and Epsom Girls’ Grammar schools asked parents for a donation towards the cost of administering the ballot. On its website Auckland Grammar asked for a donation of $50 and provided an enrolment checklist with a tick-box for “donations” then requested applicants “ensure all sections of the application form are completed”. The donation was the first entry in the checklist according to the auditor-general. Auckland Grammar told the auditor-general the cost of enforcing its school zone was $86,000 a year and a $50 donation by out-of-zone applicants funded 37 per cent of those costs. The auditor-general said this meant “out-of-zone applicants were being asked for donations to offset the cost of managing in-zone enrolments”. Mount Albert Grammar zone also listed a donation on its checklist but did not include a tick-box, and Epsom Girls’ Grammar School included a tick-box but used language “consistent with the payment being a donation and voluntary”. Kohia Terrace School and Cornwall Park District School charged out-of-zone application administrative fees of $20 and $75. Kohia Terrace School included the requirement above birth and immunisation certificates on its list of required items. The auditor-general said Cornwall Park District School refunded the fee after it was contacted by the Ministry of Education. The auditor-general said the Ministry advised Auckland Grammar school in August 2016 that donation requests were unlawful where demand for places at a school significantly exceeded places available and left parents under the impression that their application would not be processed unless it was paid. But the Ministry appeared to put a different position forward in a flowchart released in December 2016 where it did not say such donations were unlawful. The auditor-general said they were satisfied that there was no connection between the donations or fees and a child’s success in gaining a place at the schools. 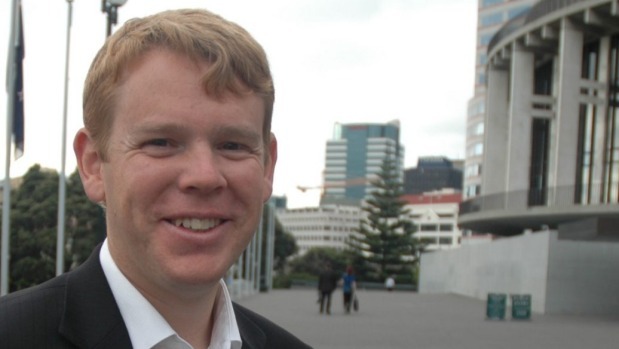 Labour education spokesman Chris Hipkins said “donations used to be the icing on the cake” for schools but funding pressures meant “now they are essential”. Hipkins said the government’s freeze on operational funding for schools this year meant parents could expect schools to “try things” to make up for funding shortfalls. Previous Post:Will Hollywood Learn Anything From Get Out’s Success?